The export of soybean and sunflower fell 28% in value terms and 23% in volume terms in January this year , with regard to the same month last year, something that had not happened ten years ago. 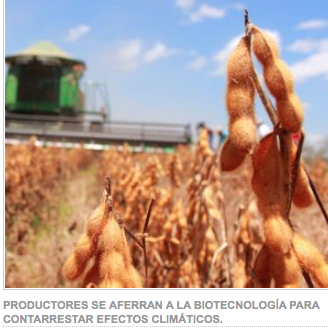 A report by the Bolivian Institute of Foreign Trade (IBCE), data from the National Statistics Institute (INE), says that in the last 10 years (2005-2014), exports of oilseeds (soybeans and sunflower) totaled $7,826 million dollars for the sale of nearly 18 million tons achieved in terms of the peak value during 2013 ($1,319 million dollars). In the same period, in Bolivia 21 million tons of oil were produced, obtaining a growth of 93%, being cultivated in an area that was increased by 38% (almost 400,000 more hectares). From 2005-2014, the total value of sales of oil nearly doubled; however, in 2014 the result was negative for the industry -much greater than the fall in 2010 (down 3% compared to 2009)- as exports fell both in value and volume, 11% and 10% respectively, compared with year 2013. In 2014, oil exports were mainly to the countries of the Andean Community of Nations (CAN) with almost 90%. The countries of the Southern Common Market (Mercosur) gained only 5% of total sales, with the main buyer being Venezuela (4.7%). This government failed to support this industry and by imposing demagogue export quotas and forcing to sell to countries that do not pay, like Venezuela, helped to worsen this situation. The masismo have failed, over a decade lost and $150 billion dollars wasted!